Any Size, Many Finishes! Direct printed (ink directly printed on the pvc) pvc signs are an affordable way to achieve a quality look, and are great for medium term (6 months to 1 year) of indoor life. They can be scratched, so extreme care should be taken in cleaning and dusting them. Laminated decals placed on pvc is a great longterm indoor solution, lasting 3-10 years or more. Cleaning is simple, as you are not touching the ink when you clean, but a protective overlaminate in gloss or even matte finish. 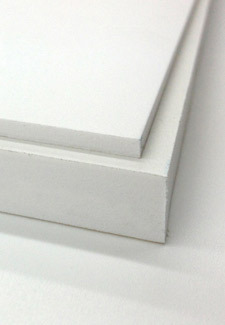 Standard thickness is 1/8th”. Design is an extra charge. FREE professional design on PVC orders over $400. 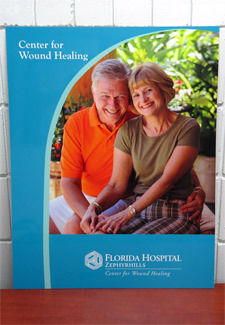 Full bleed is an extra charge on direct printed PVC signs. You can have your pvc signs in virtually any size. Provide us with your custom size& quantity you would like and we will give you an accurate price quote.